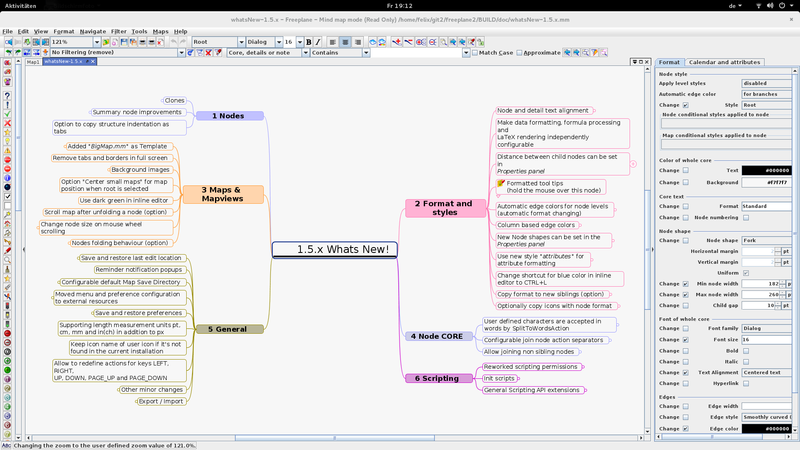 Freeplane Mind mapping and knowledge management software added to Dev/Util directory. The map called Freeplane functions illustrates the main functions of Freeplane. Besides it provides an index with hyperlinks to the tutorial an documentation where you can read more. The links are hidden at first, but become visible and can be clicked if you hover with the cursor over a function (node). This is another example of the power of Freeplane. (To experience these functions, open Help > Getting Started in the Freeplane program and select Index).